Micha created T137164: DayZ SA 1.01 Zombies are running through Wooden Fences. Micha added a comment to T137162: DayZ SA 1.01 Patch disables scrolling inventory in Large Tent with pressed mouse button. Additional info, seems to happen on a random basis, a CarTent it was working well, then a CivilianTent also works normal, then after packing the tent and build it again the same behaviour also with the CarTent. Micha created T137162: DayZ SA 1.01 Patch disables scrolling inventory in Large Tent with pressed mouse button. Micha created T137160: DayZ Sa 1.01 latest Update disables parts of base-building as attached items can't be seen anymore in WatchTower (Video attached). Micha created T137081: Attached WoodenPlank to opened gate blocks player with hidden platform + stars left/right. Micha created T136605: Player gets stuck in floating mode/flying mode when entering a ladder. Micha added a comment to T134383: serverDZ.cfg does not download in steam, fresh download, or verify integrity of the game files. I manually remove the server files with each patch. I have a backup script that copies all files modified by us, be and bec, then deletes the installation folder. Then a installation and a restore script runs and copies back the modified files that we earlier write to the backup. To steamCMD there is a non existing folder on drive c: hence I would expect the serverDZ.cfg being downloaded. It ofc would be overwritten by our restore script since we copied that during the backup as well. But no serverDZ.cfg is downloaded this way. Let me see how I can hide credentials in a video and I make you a video. 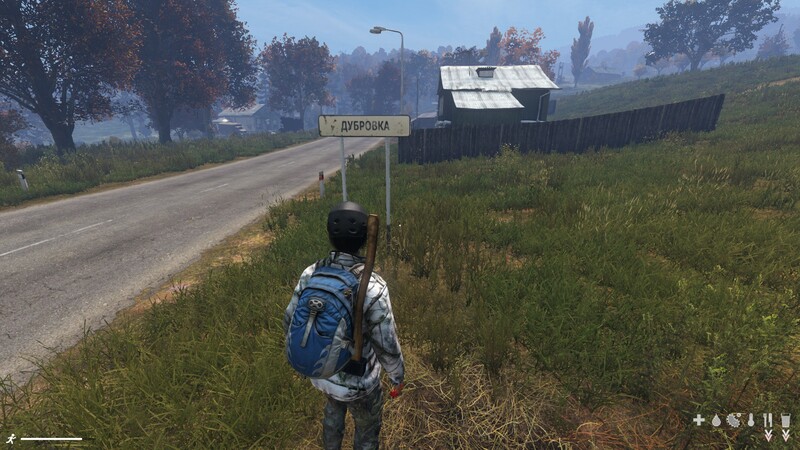 Micha added a comment to F568167: DayZ 2018.11.28 - 23.04.50.12.mp4. Fine that it works for you. As soon as I place a Barrel in any Hatchback I cannot remove it anymore. Also your car doesn't have wheels and maybe other attachments? Mine has all attachments besides the driver and co-driver door. Micha updated subscribers of T134383: serverDZ.cfg does not download in steam, fresh download, or verify integrity of the game files. Micha created T134410: 0.63 Experimental - Barrel get stuck in Hatchback and cannot be removed anymore..
Micha created T133065: 0.63 Experimental - Aiming bug after laying down and standing up with weapon in hand..
Micha added a comment to T130916: 0.63 - Aiming Down Sights while prone has stutters. The captured videos you can find in your Video folder (default windows folder). Micha added a comment to T130912: 0.63 Exp. Invisible Buildings. Micha created T130914: 0.63 Exp. Inventory shows attached Axe and Weapon on back on wrong position. Micha added a comment to T130711: Unbalanced Aim Mode/Crossair - Experimental 0.63. I can copy this statement. I filed a ticket already on this when you crouch and you aim the door frame with right mouse and then switch to 1st person aim mode, there is a big gap of the aimed target spot. Micha created T130921: 0.63 Exp. Sewing kit doesnt work even doing animation and losing condition. Micha created T130920: 0.63 Exp. Sewing kit doesnt work even doing animation and losing condition. Micha created T130913: 0.63 Exp. Police building backdoor blocked. Micha created T130912: 0.63 Exp. Invisible Buildings. Micha created T130538: 0.63 Exp. Aiming mode not fitting . Micha created T130535: 0.63 Exp. Some items spawn below waggons. Micha created T130534: 0.63 Exp. Military tent at Balota Airfield allowes to look outside at upper edge of tent. Micha created T130536: 0.63 Exp. Unloading SVD Mag doesn't make click sounds. Micha created T130533: 0.63 Exp. Items flying in air . Micha created T130532: 0.63 Exp. Cliqz Browser blocked by BattleEye. Micha created T130531: 0.63 Exp. While standing close to left wall, aim mode is not possible..
Micha created T130529: 0.63 Exp. Container opens and shows another door which cannot be opened (Elektro harbor area). Micha created T130526: 0.63 Exp. Buildings with bugs. Micha added a comment to T123592: 0.61 stable - Collection of car problems. Congrats to manage this. I will test this on our servers as soon as the maintence is done. Thank you for sharing, greatly appreciated. Oh, and all issues I described happened on a private hive SA server. Maybe this information is important to dev's. Could it be that as soon as people check the inventory with TAB on a ruined vehicle, it loses the state that it should go into next respawn cycle even after a restart? Micha updated the task description for T123592: 0.61 stable - Collection of car problems. Micha created T123592: 0.61 stable - Collection of car problems. Micha created T123589: 0.61 stable latest - Shots through doors/car windows not logged in server-log. Micha added a comment to T123559: 0.61 stable - VS3 inventory shown when checking police car & truck tires can't be released with lug wrench..
Micha created T123559: 0.61 stable - VS3 inventory shown when checking police car & truck tires can't be released with lug wrench..
Micha added a comment to T123410: 0.61 exp - Massive frame drop at NWA. This happened at daytime and there were no flares around or ignited by myself. Micha created T123410: 0.61 exp - Massive frame drop at NWA. Micha created T123400: 0.61 stable - SKS losing ammo after being colored green. Micha added a comment to T122861: 0.61 stable - Game crash with memory-error message. @Geez Where can i report a way of duping? Don't want to share this in public as you might understand. Micha created T123373: 0.61 stable - Invisible Zombie. Micha added a comment to T123372: Crash opening inventory. I can confirm, the game stutters for 1 second when opening inventory, then crashes with a memory-error message (is scheduled for a fix according to support). Hello Micha and thank you for the report. Please attach the contents of your C:\Users\*username*\AppData\Local\DayZ to this ticket - the upload button can be found on the top of the comment window bar. Micha added a comment to T122876: 0.61 stable - White Cows cannot be skinned. I can for sure say I used a combat knife. Condition probably "worn". Tried to crouch around the cow but it was impossible to get the dialog to skin and quarter. this happened again yesterday but again only with a white cow. the brown ones it works great. I know it's no showstopper, but since DayZ want to become more a survival game again, I think this should be investigated. Yes, I will try again with more knifes and a stone knife as well. Micha created T122876: 0.61 stable - White Cows cannot be skinned. Micha created T122861: 0.61 stable - Game crash with memory-error message. Micha edited Steps To Reproduce on T122796: 0.61 stable - Ammunition used still remains "empty" in inventory. Micha edited Additional Information on T122796: 0.61 stable - Ammunition used still remains "empty" in inventory. Micha created T122796: 0.61 stable - Ammunition used still remains "empty" in inventory. Micha created T122422: 0.61 stable - Cannot enter door with Orange Waterproof Bag in hands. Micha added a comment to T122417: [0.61 stable] Dayz texture glitch ?. Tree stumps having the same grafic problems when running through woods. They are all shiny now and then. Micha added a comment to T122404: 0.61 stable - Grafic when carrying Wolf Pelt bugged. Micha created T122406: 0.61 stable - Cannot stack Composite Arrow..
Micha created T122405: 0.61 stable - Feature Request: Allow Animal Lard to impregnate Leather Clothes. Micha created T122404: 0.61 stable - Grafic when carrying Wolf Pelt bugged. Micha renamed T122403: 0.61 stable - Wolf Pelt cannot ne tanned without other pelts and not used at all during tan process from 0.61 stable - Wolf Pelt cannot ne tanned without other pelts to 0.61 stable - Wolf Pelt cannot ne tanned without other pelts and not used at all during tan process. Micha created T122403: 0.61 stable - Wolf Pelt cannot ne tanned without other pelts and not used at all during tan process. Micha created T122359: 0.61 stable - Carrying Mili Tent in Hands grafic bugged. Micha created T122358: 0.61 stable - Doors at officer barracks are too small..
Micha created T122357: 0.61 stable - Door at control tower (iE Balota Airfield) too small. Micha added a comment to T121351: Ammunition Icon shows Amount 0 after loading gun. I can confirm that it is fixed. Thanks and keep up the good work! Micha created T122161: 0.61 - Getting stuck on top of ladder of camouflage bunker. Micha renamed T122055: 0.61 x_64 - Zombies keep chasing UPDATED with screen/coords from 0.61 x_64 - Zombies keep chasing to 0.61 x_64 - Zombies keep chasing UPDATED with screen/coords. Micha created T122055: 0.61 x_64 - Zombies keep chasing UPDATED with screen/coords. Micha added a comment to T121961: 0.60 - Gameservers diconnect with message "Unknown Game Version". Micha updated the task description for T121961: 0.60 - Gameservers diconnect with message "Unknown Game Version". Micha created T121961: 0.60 - Gameservers diconnect with message "Unknown Game Version". Micha updated the task description for T121880: 0.61 Exp. - Ingame Voice Chat (VoIP) extremely loud. Micha created T121880: 0.61 Exp. - Ingame Voice Chat (VoIP) extremely loud. 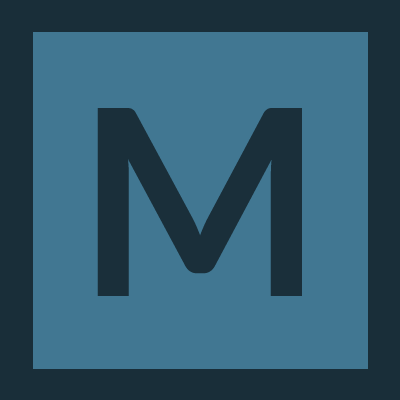 Micha added a comment to T121873: 0.61 Exp. - Impossible to enter room through door..
the issue occured today, December 6th approximately 1:15PM (13:15 CET) on server UK-07. The door was open and there was no door icon visible (though I didn't check unfortunately). Micha edited Steps To Reproduce on T121873: 0.61 Exp. - Impossible to enter room through door..
Micha created T121873: 0.61 Exp. - Impossible to enter room through door..
Micha removed a watcher for DayZ: Micha. Micha edited Additional Information on T121351: Ammunition Icon shows Amount 0 after loading gun. Micha created T121351: Ammunition Icon shows Amount 0 after loading gun. Micha added a watcher for DayZ: Micha.